Magnolias are among the oldest living flowering plants on the planet. So how do we duplicate these beauties or create our own riveting new crosses? Come learn with three experts the techniques of grafting, taking and growing cuttings, and collecting and using seeds to develop clones or new plants. Rich Hesselein, Ethan Guthrie, and Kevin Parris will each take you through the processes with slides and live demonstrations. Join magnolia enthusiasts from around the world and learn some new skills that will bring even more beauty to your garden! James Kevin Parris is a horticultural instructor and the curator at Spartanburg Community College, Spartanburg, South Carolina. He recently completed a research project with magnolias and received his M.S. from Clemson University, where he is currently working on a doctorate. 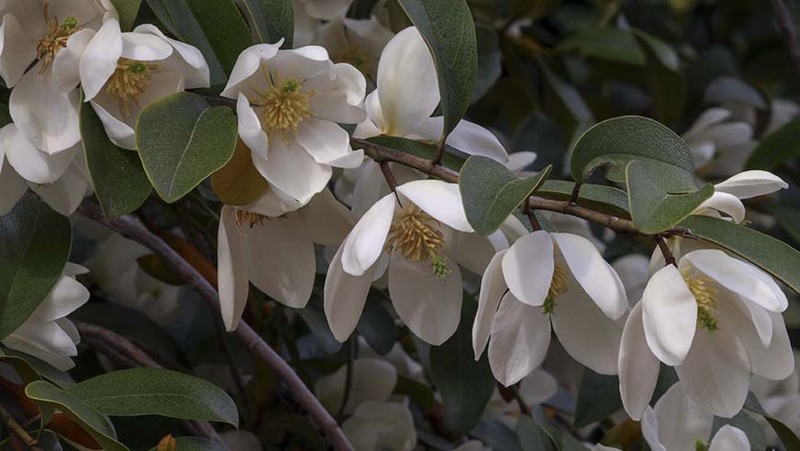 Kevin has been involved in propagation, has owned a landscape design company and is responsible for releasing three ornamental plants, including Magnolia grandiflora 'Kay Parris'. Among his numerous published works are articles in recent MSI Journals. A school project involving collecting leaves when he was 13 stimulated Kevin's interest in plants; he says he will forever be a student of nature. $25.00 for JCRA and MSI members, $50.00 for nonmembers. Advance registration is required. Please register online using our registration e-store. Registration is limited to 50 people and is considered complete when payment is received.